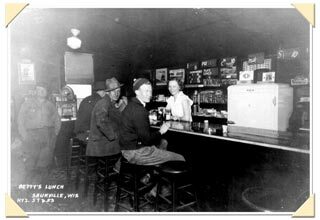 Betty and Al Lubahn launched one of the most successful business ventures in the history of Saukville back in 1931. 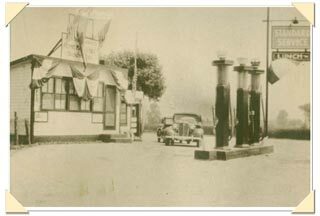 The restraurant was operated by Betty and Al took care of the Standard Oil Service Station. The couple located at the intersection of Highway 33 and the former Highway 57, today known as County Road W or Riverside Drive. 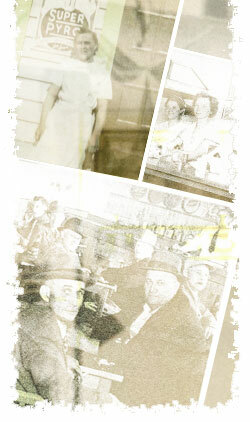 Al soon bought out his partner Wilbur Heiser’s half interest, Betty became known as the “hamburger lady” and the diner stayed open 24 hours a day. The popular diner owned by Betty Lubahn in the Village of Saukville was open for business from the 1930’s to January 1, 1991 when she passed away. 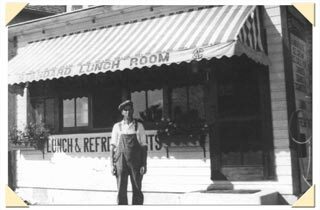 In the 1930’s when the diner opened, hamburgers cost a nickle; egg, cheese, ham, or steak were a dime each; a plate lunch cost 30 cents; pies were a nickle or a dime; and sundays were 10 cents. The slot machine in the rear was available for anyone with spare change. the Estate of Helen Albinger. Not very often were there empty seats at Betty’s Lunch in the Village of Saukville. Betty’s son Jim came for a visit around 1937. 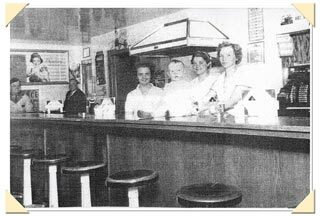 The picture above shows Betty’s husband Al Lubahn and his brother Arnold are seated in the left and from left to right behind the counter are Dorothy Race, Frances Dohr, baby Jim and the owner Betty Lubahn on the far right.